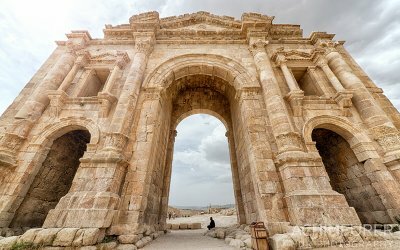 Our guide and representative will meet you on the Jordanian side of Sheikh Hussein Border and assist with your visa to Jordan. 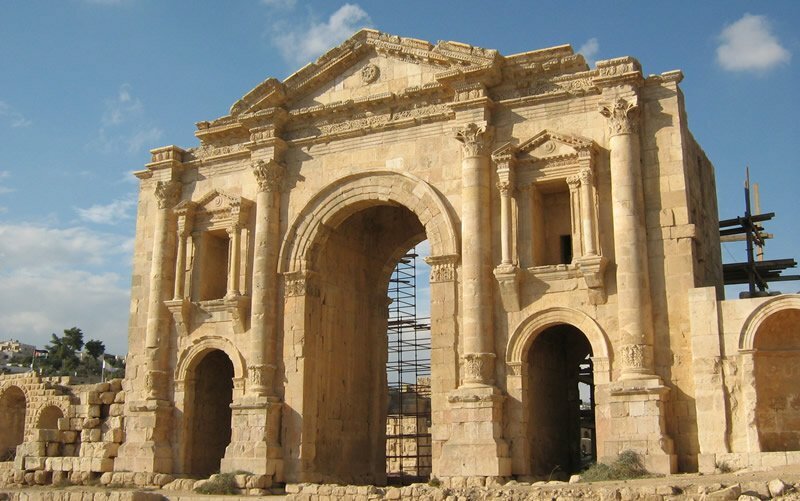 After, with the guide, meet our driver and transfer to the impressive Greco-Roman city of Jerash - one of the best preserved provincial Roman cities in the world with fortification walls, temples, baths, colonnaded streets, theatres, shops and sophisticated water works. The city is evidence of urban civilization spanning over a period of 9000 years including Hellenistic, Roman, Byzantine and early Islamic eras. With a 2 hour guided tour explore this amazing city. 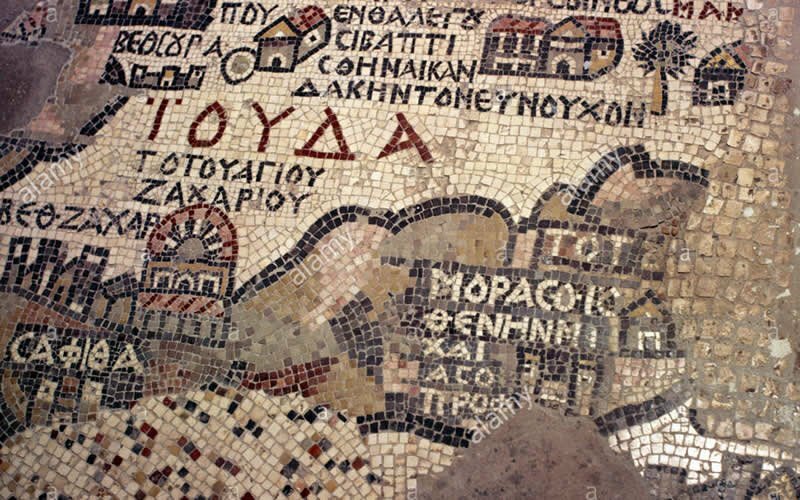 Later on a journey will take us to visit the City of Mosaics - Madaba - once a Moabite frontier town, which continued to remain inhabited during the Nabataeans and Roman periods. Visit to the most famous landmark of the town, The Greek Orthodox Church where the 6th century mosaic map of the Holy Land has been preserved in its original form. With 2 million pieces of colored stones and a full 25 x 5 meters in its original state – most can be still seen today. The map depicts hills, valleys, villages and towns as far as the Nile Delta. Next we visit Mt. Nebo; where Moses is believed to be buried. 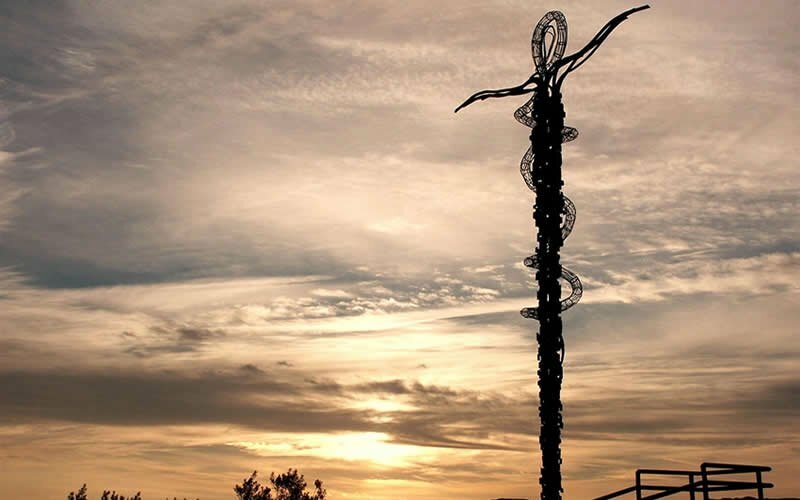 It is the most revered holy site in Jordan and a place of pilgrimage for Christians. 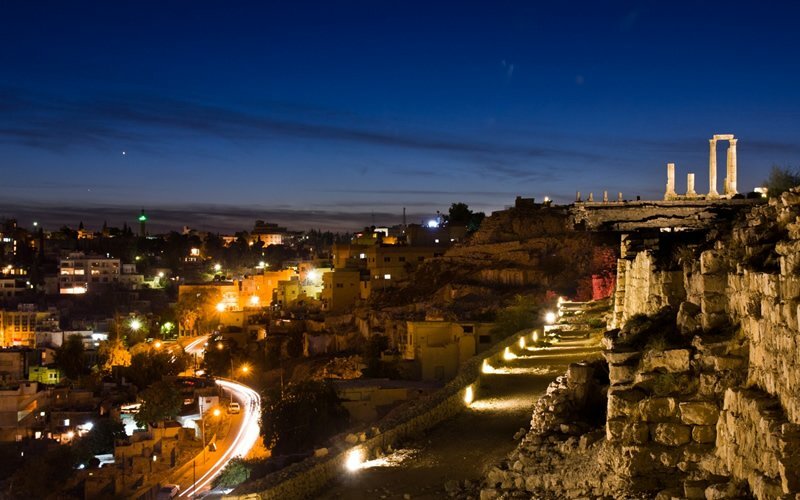 Then we drive to Amman to our 3* hotel for dinner and overnight. 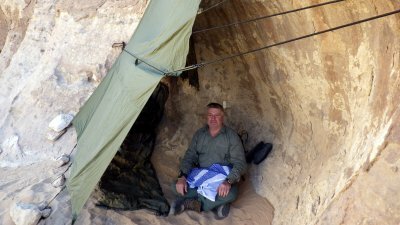 We have breakfast at the hotel, meet our tour guide and drive southbound and dedicate the full day exploring the magnificent, mysterious, rock-carved red rose city of Petra or sometimes known as “The Lost City” . On the edge of the Arabian Desert, Petra was the glittering capital of the Nabataeans empire of King Aretas IV (9 B.C. to 40 A .D.). Masters of water technology, the Nabataeans provided their city with great tunnel constructions and water chambers. 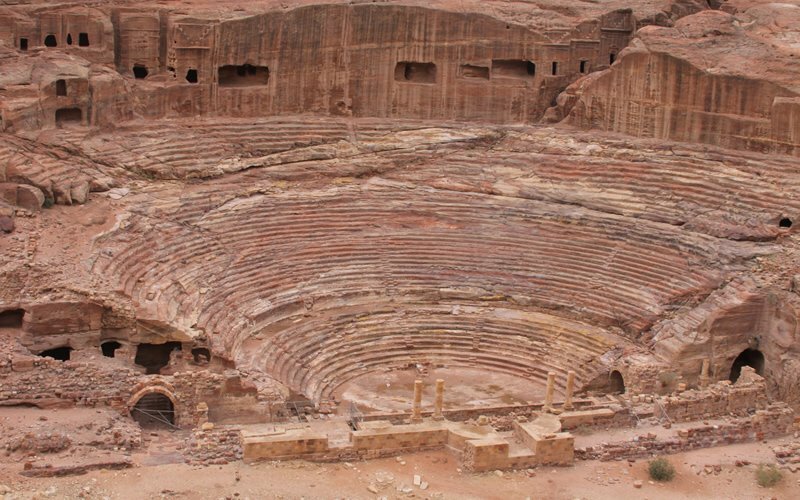 A theater, modeled on Greek-Roman prototypes, had space for an audience of 4,000. 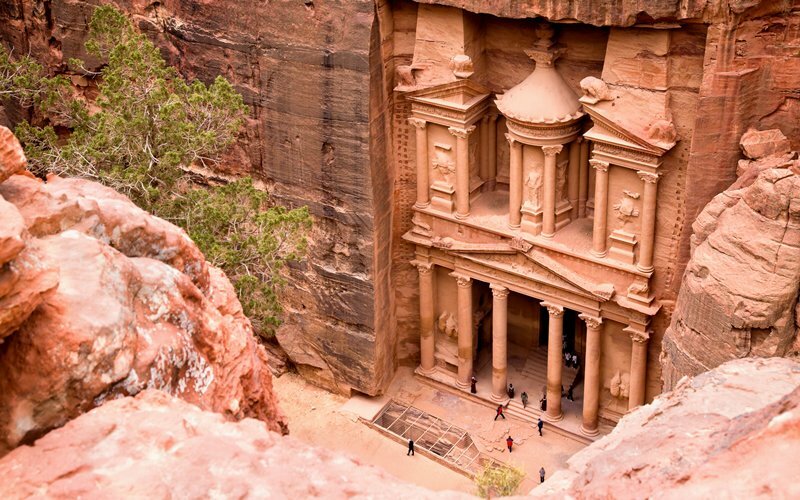 Today, the Palace Tombs of Petra, with the 42-meter-high Hellenistic temple facade on the El- Deir Monastery, are impressive examples of Middle Eastern culture. The guide will arrange your entrance fees and start exploring the main attractions of the lower part of the city. You and the guide will start from the main gate all the way through the Siq to visit the Treasury, Street of Facades, the Theatre, all the way down to the Nympheom and Qaser El- Bent. Have lunch inside Petra at Al Basin Restaurant, then you have some free hours on your own to explore further places such as the Monastery. At the end of the day, we return to Amman for dinner and overnight at 3* hotel. Breakfast at the hotel, then we will transfer you to drive to King Hussein Bridge to Israel (Allenby Bridge) for departure with farewell.